“We knew they were going to give us a check but we didn’t know how much,” said Jennie Bauman who is the organization’s Treasurer. The tournament raised $425 this year. 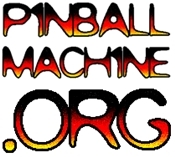 Thanks to sponsors STERN Pinball, Playland not at the Beach, Pacific Pinball Museum and Pinball Video, and volunteers from local pinball leagues CCPL, EBPL and BAPA!